CultureGrams from ProQuest is a great source for students needing reliable country and culture references for a report. Placed somewhere between Wikipedia and the CIA's World Factbook, information is available on 208 countries (in the World edition), each entry being written by a local expert. CultureGrams comes packaged with an incredible suite of tools. Besides citation assistance, students can view photographs, slideshows, videos and interviews with people from each country. There are info-graphics, graphs and tables. Images of the national flags, and even a few local recipes! A sampling of famous people from each country is also available. Al Manhal is the world's first Arabic electronic all searchable content platform. In partnership with ebrary, an established leader in e-Book provision, Al Manhal is available to the faculty and students of HCT. Al Manhal’s database was created specifically for academics, researchers, and scientists. The collection of eBooks will cover key areas, including business and economics, educational sciences, Islamic studies, and social sciences. The database is updated on a regular basis to deliver the region’s latest intellectual produce and will continually broaden its scope of content to include more categories. Common Craft is a library of educational videos on a variety of topics that are easy to understand. The videos use stop-action animation with whiteboards and paper cut-outs to illustrate different topics. Topics range from Apps and Blogs to Insurance and Investing Money. Common Craft also contains a huge library of images called cut outs which you can use for your own presentations. SAGE Research Methods is of most value to students, faculty and researchers in the social sciences. It will help to answer your questions on research methods and research design. Contents include over 100,000 pages of book, journals and reference content. Combined with award winning search and discovery tools, you are almost guaranteed to find the answer you seek! Other helpful tools include the "methods map" that visually displays relationships between method terms, concepts, people and literature. It is also highly advised to watch the introductory videos beforehand, in order to better understand and utilize all the tools at hand. 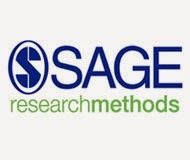 For a more comprehensive review of SAGE Research Methods, please click here. In keeping with the Library Week theme of "Unlimited Possibilities @ Your Library", it is possible to find excellent information on people who surpassed their supposed limits to achieve greatness in their lifetimes, by using the Britannica Academic. Besides the expected bibliographical information, Britannica Academic provides photographs, videos, and links to additional sources of information. 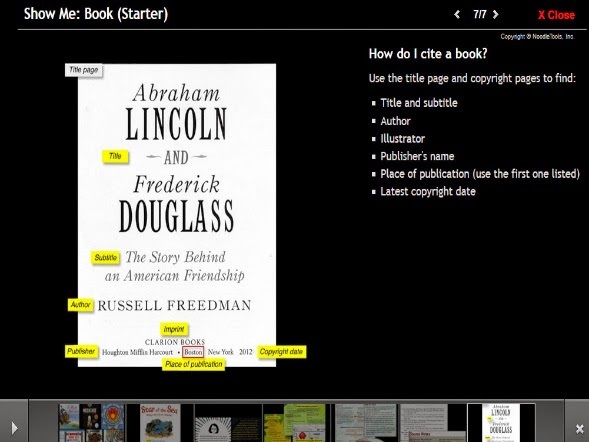 Tools are also included that help students reference their information. Try Britannica today, it will exceed your expectations! NoodleTools is one of the many HCT database subscriptions, and it is an excellent student citation resource. It is limited as a citation builder in many ways, and is therefore not suitable as a faculty or large-scale research citation manager, but it has some great features which are just right for our students! To begin with NoodleTools, users register (and can then retrieve previous work), and a “Project” must be started first. This could be an assignment level for students, and this contains several good organizing features for new researchers. Once in the project, citations are reasonably easy to create. NoodleTools offers only 3 citation styles (APA/MLA and Chicago), and only 6 basic resource formats (e.g. books, journal articles). These options are generally enough for student use however, and citations can be created by copy and pasting from another source, or by manually filling out the fields for that resource format. So, while it might not directly deliver full text articles for download, it serves as one of the best tools around for researchers. In HCT both faculty and students are being encouraged to do more applied research, plus many of the staff are chasing their doctorate degrees too. Scopus is great for searching for documents for your literature review using advanced search tools that deliver precise results. It will also provide links to the full text of articles available from our other subscriptions. And when it comes to citations - Scopus makes it easy to export to reference managers like Mendeley, RefWorks and EndNote. Use Scopus to discover related articles, authors or keywords. Identify subject experts, or the research output of organizations. 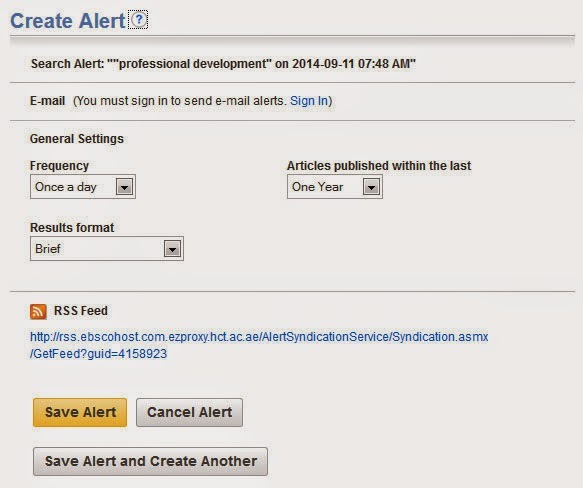 With Scopus you can also set up alerts to keep you up-to-date, or track the citations of publications. And last, but not least, use Scopus to evaluate the impact of authors and journals on research. With over 50 million records, from 21,000 titles, and over 5,000 publishers - Scopus is the battle axe in your research armoury! Credo Reference: A truly great reference tool! HCT has access to some of the best academic databases money can buy, but sometimes all you need is a tool for finding good, solid, basic reference information that is credible and not just plucked from Wikipedia for lack of anything better. Credo is a vast, online reference library, providing access to the full text of hundreds of highly regarded and popular titles. And Credo brings the facts alive with images, sound files, animations, videos and much more. Find speedy, simple answers and authoritative, in-depth articles. Credo Reference contains dictionaries, bilingual dictionaries, thesauri, encyclopedias, quotations and atlases, plus a wide range or subject-specific titles covering everything from accounting to zoology, via maps, math, management, martial arts, media studies, medicine, mountains, moons, music, multimedia, mythology. This is an excellent tool for introducing students to credible sources, and the use of references, as Credo provides references (APA included) and can export search results to various citation tools! It also a good way to introduce students to the search process and use of academic databases, as it (in a simple way) allows them to filter and narrow their searches. For teachers handing out basic assignments, e.g. “the history of the Suez Canal” - or to get any research launched - be sure to recommend Credo Reference to your class! Student Resources in Context is a database for general information on a variety of topics. It is a great place to start with your research. You have access to newspapers, journals, videos, maps and images on a variety of topics. If you are searching for geography, history, biography, science, health and sports information, this is a great database. It includes citation tools, bookmarking, dictionary and emailing. Located in the IT menu of our databases, CBT Nuggets is renowned for providing innovative IT training that's informative, meaningful, and engaging. The modules are varied, primarily in IT, project management, and office productivity topics. This database contains thousands of training videos ranging from Cisco networking to Microsoft Word. Whether you want to pass a certification exam, increase your skills, or simply learn new things, CBT Nuggets have got you covered! Similar to Lynda.com, all of the training modules are delivered through high-quality online streaming video. Students and faculty can train 24 hours a day, seven days a week, from the convenience of a computer or mobile device. CBT Nuggets modules are very engaging. The presenters of CBT Nuggets deliver accurate, up-to-date training, using a laid-back whiteboard presentation style. To access this database you will need to ask one of our friendly library staff for the login and password. The HCT libraries have over 100 databases, and many allow you to set up regular ALERTS which will send to you email links to newly published articles, as often as you want, for as long as you want, on just the topics you would like to keep up-to-date with. Easy! Many databases will allow you to set up as many alerts as you wish. If you prefer, you can often set up an RSS feed rather than notification via email. From the library website (http://libraries.hct.ac.ae/) select Databases from the top orange tool bar, and then the database covering your subject area. Most Ebsco and Proquest databases are very easy to set up with ALERTS, and many others also make this available. The most important part of setting up an ALERT is to create a good search strategy (achieving good results specific to your search, without too many irrelevant resources). Ask your librarian to help you with this – HINT – use subject headings, and be as specific as possible. You can limit searches by “full text”, “peer reviewed”, date limited, and many other options. Spend a little time to get this right, as you will soon tire of an alert which sends through irrelevant links! In Ebsco, you enter your email address, and how often you would like to see the alert. You would generally limit your alert to only newly published items. You also have the option to use a RSS feed if you prefer. You have the option to cancel alerts at any time. Many will automatically stop after a period you define (e.g. after one year). ProQuest databases works in a very similar way to Ebsco Databases: Create and schedule alerts to deliver new documents matching your search as they become available. In ProQuest you can create a free “My Research” account to modify, delete or view all of your alerts. Ask your librarian to assist you to create very relevant search strategies if needed, and keep yourself current in your discipline! 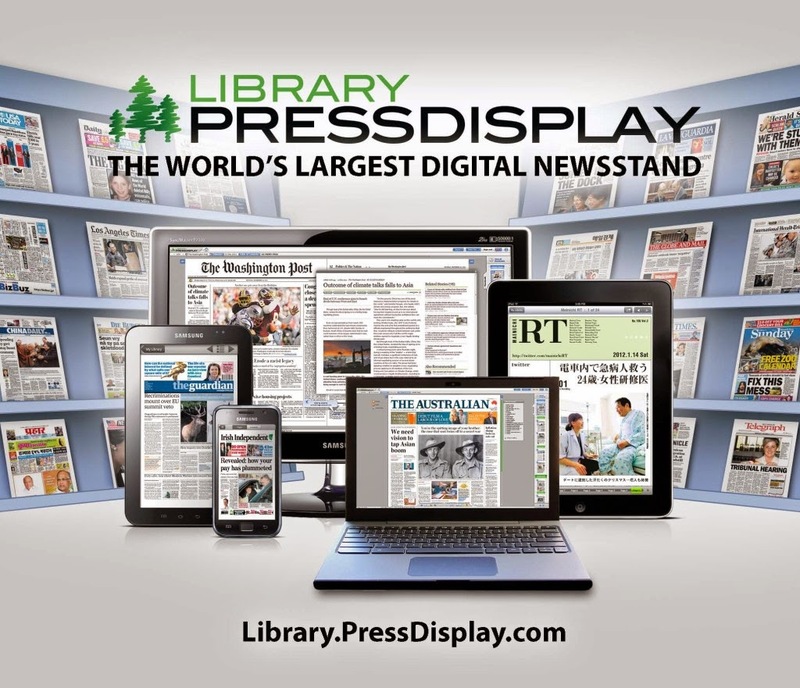 Library PressDisplay provides instant online access to today's newspapers from around the world in full-color, full-page format. The ever-expanding collection currently includes more than 2,000 U.S. and international titles. Just like reading the familiar print edition, viewers can browse articles and other key content, such as pictures, advertisements, classifieds, and notices. The service also provides up to a 60-day backfile and the ability to perform keyword searches across all titles and the entire backfile. On the front page of Library Pressdisplay, you can see a country list on the left side of the page. Scroll down to and click on UAE to see a comprehensive list of both English and Arabic newspapers! There is also an App for reading your Pressdisplay newspapers on iPad. More information can be found in our Amazing Apps section. JSTOR is not your average library database. JSTOR was founded in 1995 with funding from the Mellon Foundation. The aim was to "build trusted digital archives for scholarship". Put simply, JSTOR is a digital archive for journals, some of which go back more than a 100 years. JSTOR is a not-for-profit organization that only charges a fee to subscribers to cover their costs. By archiving journals digitally, they allow libraries to free up shelving space. They also allow new or less privileged libraries to provide journal access to their patrons. 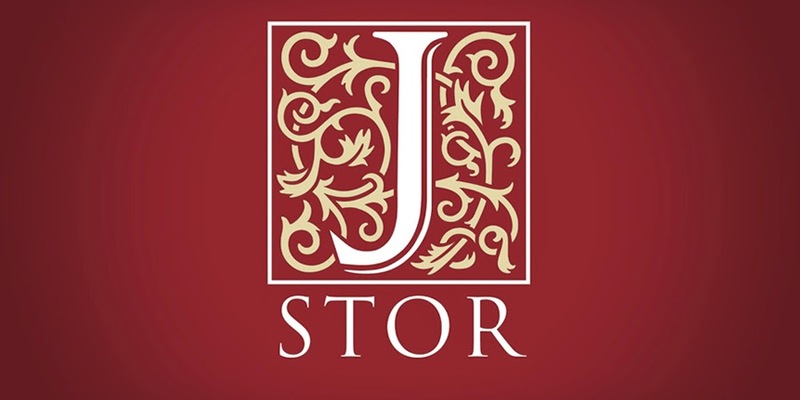 JSTOR charges subscription on a 3-tier system, providing reduced or even free access to many libraries in Africa and other developing countries. Of course, as JSTOR does not sign exclusive rights agreements with publishers, there is an embargo period on articles that can range between 2-5 years. This means you won't have full-text access to the very latest articles, but in many disciplines this is not a huge issue. JSTOR is particularly strong in the Social Sciences, but also covers fields like Health Policy, Language, Economics, Nursing, Business, and Mathematical and Statistical Sciences quite well. Give it a try today and be pleasantly surprised! OverDrive Digital Library is a leading full-service digital distributor of eBooks, audiobooks, and other digital content. It includes eBooks related to your study, latest releases, most popular eBooks and recommended reading. 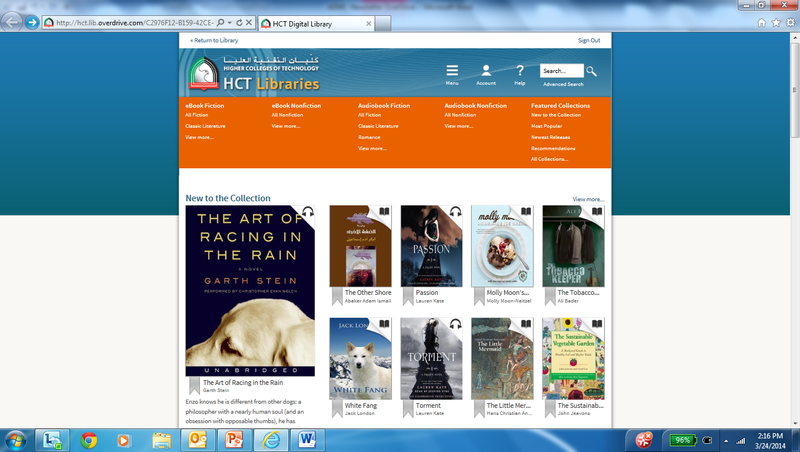 All HCT students have access to OverDrive through the HCT Library website. To locate this, click on the Database tab, scroll down to eBooks and click on OverDrive Digital Library. Individual students can download up to 5 eBooks at any time. Choose your book and tap ‘Borrow’. You can then download the eBook or read it on your browser. After two weeks, the books will be automatically returned to the HCT Library. You may return the book earlier if you wish by tapping the ‘Return Title’ button. If you require further information, please contact your Library staff. ABI/INFORM Global is one of the most comprehensive business databases that students can access through the HCT Database link. It includes in-depth full-text journals from thousands of publications. It also contains the ABI/INFORM archive which offers a backfile of important business journals from the last century. Students can find out the most current information about business conditions, management techniques, business trends, management practice and theory, corporate strategy and tactics and the competitive landscape. According to Wikipedia, Westlaw is "one of the primary online legal research services for lawyers and legal professionals in the United States and is a part of West. In addition, it provides proprietary database services." Westlaw Gulf is the regional branch of Westlaw here in the Gulf, and besides providing support to the legal fraternity here in the Gulf, their proprietary database is a very handy tool for anyone wanting to find and understand local laws and decrees. They also go to great effort to translate many of the major laws and decrees into English. Though we don't have a law faculty on our campus, laws pertain to all sections of society, including the study of business, engineering, or IT. The HCT Library has 106 different databases covering the various subject areas that are on offer at the various campuses. The databases can be accessed from home with the HCT username. 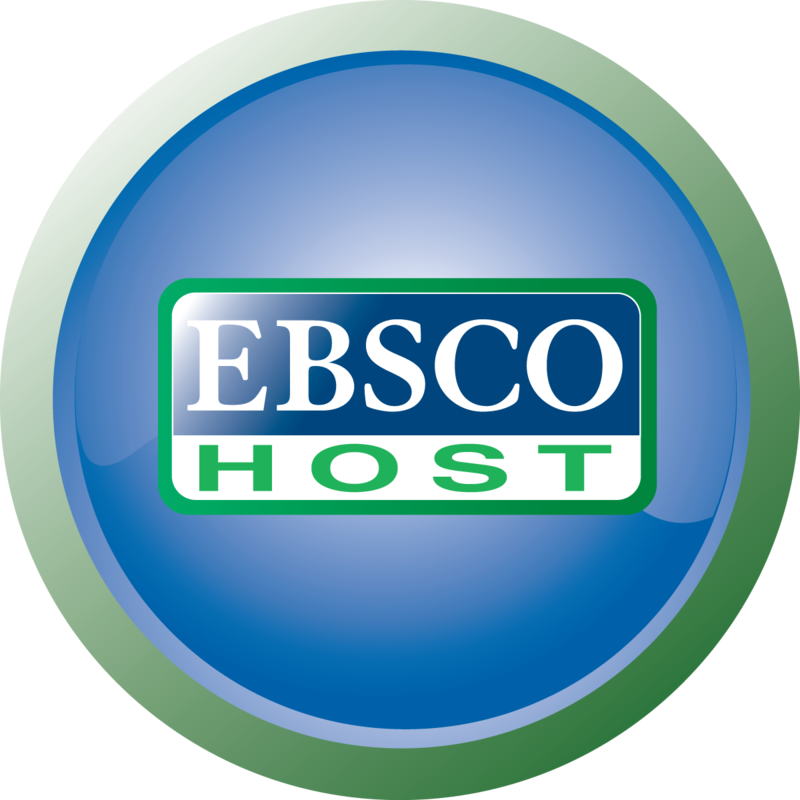 Academic Search Premier from EBSCOhost is one of the world's largest multi-disciplinary database, containing nearly 3,500 full-text scholarly publications with indexing and abstract coverage of over 4,450 journals. There are a large number of other magazines, newspapers and even encyclopedia entries included in the general search results. Academic Search Premier has content on nearly every area of academic study including: social sciences, humanities, education, computer sciences, engineering, physics, chemistry, language and linguistics, arts & literature, medical sciences and more. The easy to use interface allows for basic to advanced searching with many different search options. Users can create an account for free to set up journal alerts and saved search results so they will be automatically emailed with new content. Academic Search Premier also provides a very large selection of audio-visual tutorials on many search and database-related topics. 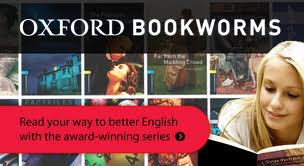 The Oxford Bookworms Library database contains a series of graded readers offering over 100 online books to choose from. It begins at the Starter level, for easy reading, and moves up to Stage 6, the most difficult level. This database is an excellent resource for students wanting to improve their English skills or just for reading for pleasure. To access this database, go into ‘eBooks’ in the database drop down menu. 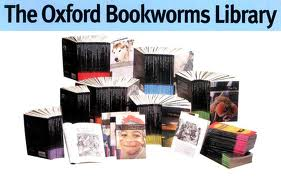 Scroll down until you find ‘Oxford Bookworms Library’. You can also find a test on the following link https://elt.oup.com/student/bookwormsleveltest/?cc=ae&selLanguage=en to help you find the correct reading level for Oxford Bookworms graded readers. Description: The World Public Library Association is the world’s largest eBook provider. It provides access to research references, historical publications, works of literature, serials, bibliographies, dictionaries, encyclopedias, and other reference works in a number of languages with an aim to strengthen the instructional programs of education, elementary through post-baccalaureate studies. All the eBooks are in PDF file format, and all Audio eBooks are in MP3 file format. These formats are designed to be cross-platform compatible with all PCs, Laptops, PDAs, iPhones/iPads, eReaders, and Smartphones. The HCT databases featured on this Page are accessible from home, 24/7. CultureGrams provides country reports that go beyond mere facts and figures to deliver a one-of-a-kind perspective on daily life and culture, including the background, customs, and lifestyles of the world's people. Individual reports covering 200+ countries, all 50 United States, and the Canadian Provinces, are written and reviewed by in-country experts and are updated as new information becomes available, so you can be sure you're offering only the very best, most current information to staff and students. Al Manhal is the leading Arabic electronic content service provider. It is the world's only provider of full-text searchable electronic databases of peer-reviewed and copyright protected Arabic publications. Faculty and students have access to thousands of electronic publications from the Arab world's leading universities, research centers and scientific societies. The database has 68,157 publications that include journals, e- resources, Masters' and Doctoral theses and dissertations, and news reports from 205 publishers. The Chronicle of Higher Education is the No. 1 source of news, information, and jobs for college and university faculty members and administrators. Based in Washington, D.C., The Chronicle has more than 70 writers, editors, and international correspondents. Many of us grew up with the Encyclopedia Britannica as the source for quick and accurate reference. This trusted paper source is now available online. Britannica Online (Academic Edition) delivers fast and easy access to high-quality, comprehensive information. The rich combination of the insightful Encyclopædia Britannica, plus Merriam-Webster’s Collegiate Dictionary and Thesaurus, magazines and periodicals, and many other research tools provides the variety of reliable sources for students to consult when conducting thorough research—all from one resource. Written by Nobel laureates, historians, curators, professors, and other notable experts, the Encyclopædia Britannica articles are trusted resources with balanced, global perspectives and unique insights that faculty and students will not find anywhere else. 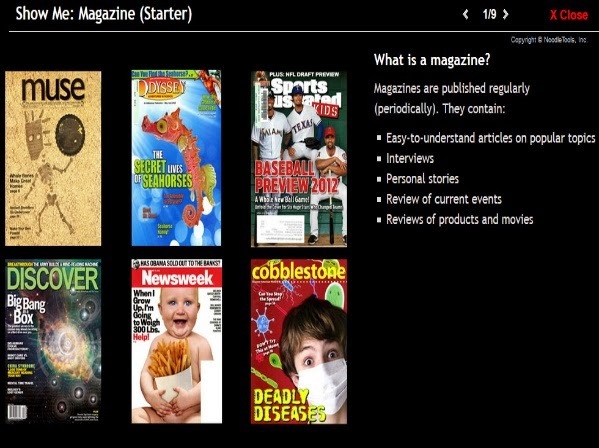 Start with the encyclopedia, move on to the atlas, biographies, e-books, news, multimedia, and more. It is a complete research tool. Britannica Online (School Edition) offers three libraries: Encyclopedia Britannica, Britannica Student, and Primary Britannica. Each provides a suite of features to browse the three levels of the encyclopedia. You can switch amongst the three levels to accommodate the students' language level. Different types of questions require different methods of research. If your interests are broad and general, browsing can lead you to a variety of interesting articles presented in an organized system. If you want a specific answer or hope to discover unexpected relationships, searching can offer both precision and the possibility of new directions for exploration. This site offers instant access to the world's premier Humanities, Social Sciences, Behavioural Sciences, Built Environment, STM and Law content — from renowned imprints such as Routledge, Psychology Press and Focal Press. More than 30,000 titles available for purchase by institutions via our eBook collections — from general subject areas to interdisciplinary selections hand-picked by our editorial teams. Information about the book is available before you can download it. The newest addition to the over 100 HCT online databases is called Education in Video. It is the first online collection of streaming videos developed specially for training and developing teachers. Upon completion, the collection will contain more than 3 000 video titles totaling 1 300 hours of teaching demonstrations, lectures, documentaries, and primary-source footage of students and teachers in actual classrooms. It will give education faculty, students, and in-service teachers a single source for the best research-based professional development video resources available. This release now provides 3 809 titles, equaling approximately 995 hours. For a generation accustomed to using the web to find their answers, Student Resources in Context is a cross-curricular breakthrough. Video and audio content from the National Broadcasting Company (NBC), National Public Radio (NPR) and many other respected sources. IEEE Xplore provides Web access to more than 3-million full-text documents from some of the world's most highly cited publications in electrical engineering, computer science and electronics. Approximately 25,000 new documents are added to IEEE Xplore each month. Follow this link to the HCT database suite. Faculty are invited to submit suggestions and request a trial for new database trials. Leave comments here after evaluating a suggested database trial. is the newest addition to over 90 HCT databases available to all HCT faculty and students. It is a seven-stage graded readers series offering over 200 adapted and original English texts for secondary and adult students. Oxford Bookworms enjoy a world-wide reputation for high-quality storytelling and a great reading experience. Research shows reading a lot improves all your language skills. Experts recognize Oxford Bookworms as the most consistent series in terms of language control, length, and quality of story - very important for fluent reading and extensive reading. The database of readers will be available from 1 March, just in time for library week. Discover the various library databases. It is an online library of full texts of over 70,000 scholarly e-books. It is available at HCT libraries and provides a set of online database collections that combine scholarly books from over 435 academic, trade, and professional publishers. It also includes sheet music (9,000 titles) and government documents. Additionally, eBrary offers content services—DASH! (do-it-yourself), software as a service (SaaS) and licensed—for customers to cost-effectively distribute their own PDF content online. eBrary contains a suite of reference tools and a rich collection that includes books, journals, magazines, maps, and other publications. Illustrations are included. Users gain access through a subscribing library and can browse, view, search, copy, and print documents from their computers. eBrary's aggregated collections cover academic disciplines including business and economics, computers, technology and engineering, humanities, life and physical science, and social and behavioral sciences. Follow this link to over 90 HCT databases. Scroll down to the link to eBrary, and refine your research with recent information. Faculty are invited to submit suggestions and request a trial for new database trials. Click here to leave comments after evaluating a suggested database trial. • Interoperability with ScienceDirect, Engineering Village and Reaxys, a unique chemistry workflow solution. Follow the link to the 95 HCT databases, http://libraries.hct.ac.ae/databases/subjects/all/. Scroll down the link to Scopus and refine your research with recent information.